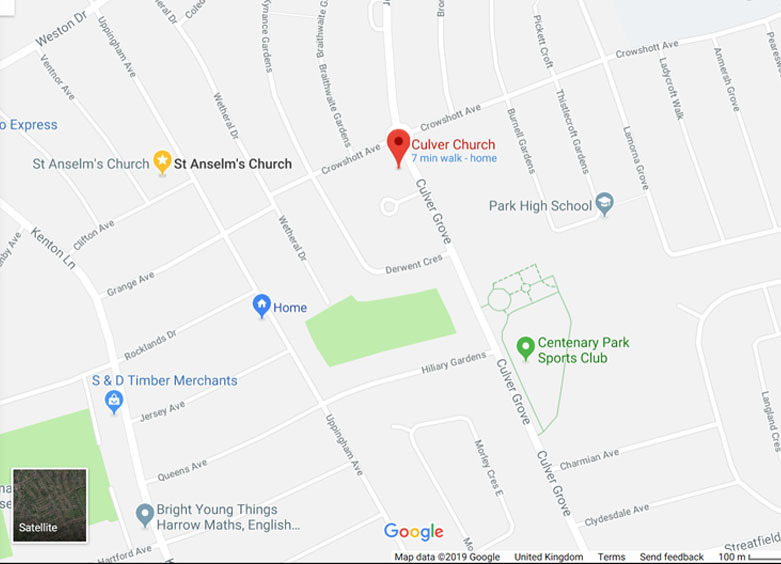 By car: Culver Church is in Stanmore and is about 3 miles south west of Junction 4 of the M1 junction. By bus: 324, 114, 186. By Tube: Take the Jubilee line to Canons Park. From here, the church is located 15 minutes walk away.